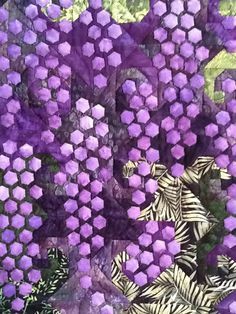 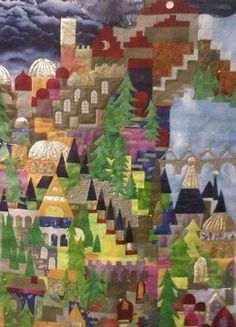 In 2013 Mashka – my sister in law wanted me to make her quilt in purple – her favorite color using Rose of Sharon applique. 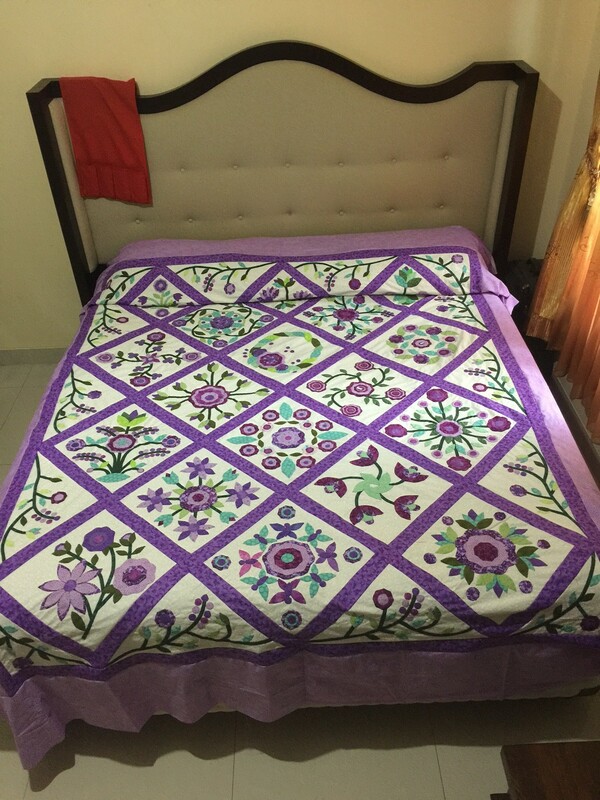 I bought the pattern through my friend in USA. 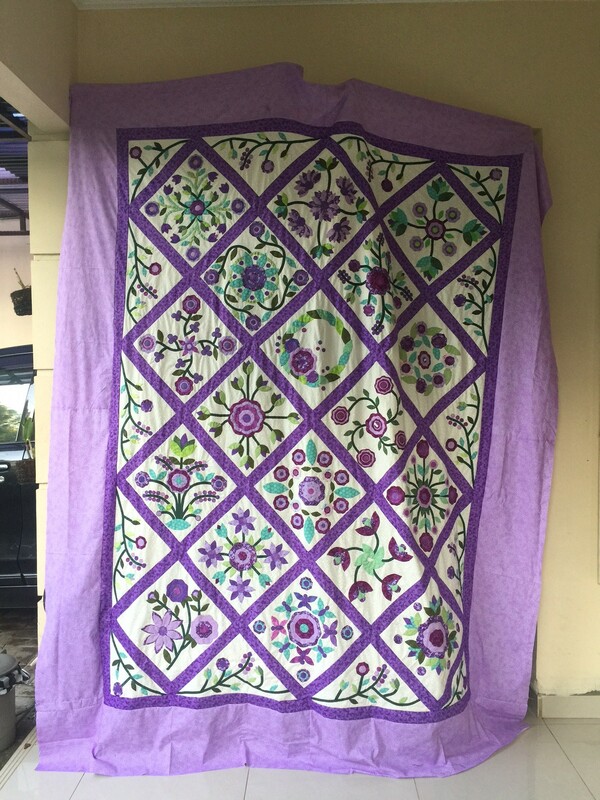 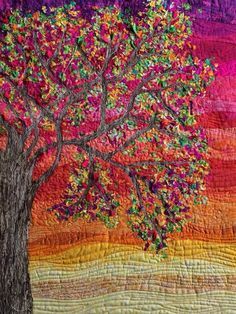 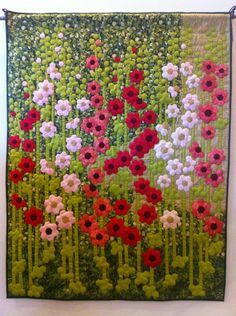 It took me about 3 months to applique the pattern, this quilt used needle turn applique. 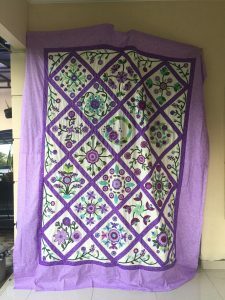 Most of the fabrics bought in Perth. 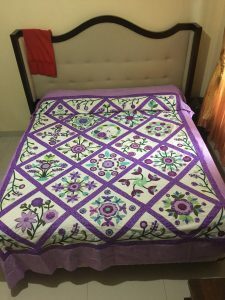 Now this quilt will start handquilting process. 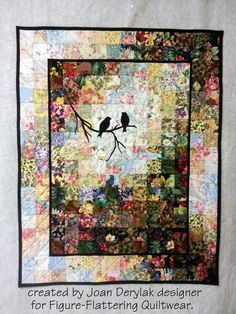 It will take at least another 3 months to finish handquilting.